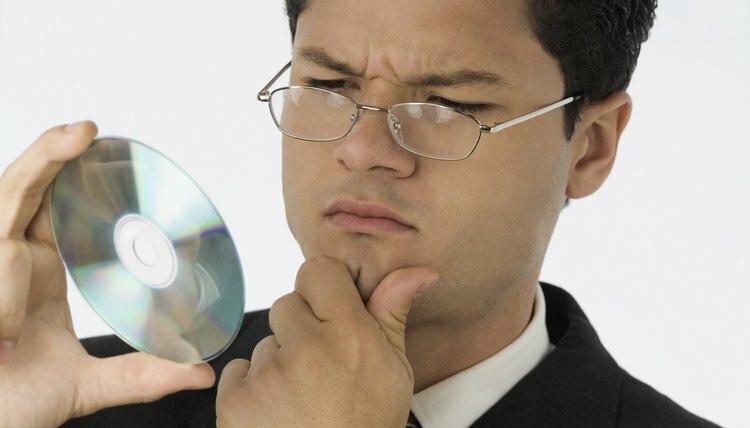 Add a copyright notice to the CD. Proper notice includes three things: the phonorecord copyright symbol (the letter P in a circle), the year that the CD was first published and the name of the copyright owner. The notice must be "permanently legible to an ordinary user." Printing the notice visibly on the CD should be sufficient. Print and fill out form SR. If you are registering the musical composition as well as the CD you should still use form SR, but include information about the author(s) of the musical composition and the sound recording. (They are the same person, but you fill out the information separately.) If the CD is a compilation, be sure to identify the original recordings in space 6 of the form. If the form is confusing, you may want to seek help from a qualified attorney or an online legal document service. Collect the deposit and payment. The "deposit" is a copy of the CD if it has not yet been published, or two copies if it has been published. The copies will be deposited with the Library of Congress. Also prepare a check for the appropriate filing fee. Send your form, deposit and payment to the Copyright Office. The office will take several months to process it. Once it is finished, it will send you a certificate of registration. Pictures, either created as artwork or taken with a camera, can have their copyrights registered with the U.S. Copyright Office. While they are technically copyrighted the moment they are created in a tangible form, registration enables protection of the work. Motion pictures, such as video recordings, can also be registered with the U.S. Copyright Office. Registration is necessary in order to sue and receive damages for infringement of your copyright.